2015-2019 “Hybrid Silicon Nanostructures for Sensing”, Croatian Science Foundation, project no. : IP-2014-09-7046. 2014-2019 “New functional materials”, Center of excellence for new materials and sensors, Leader: M. Ivanda, Funding source: Ministry of Science and Technology of Croatia and the Structural Funds of European Union. CEMS-NFM is organizing the Training School on Raman Spectroscopy for the COST action “Nanospectroscopy” MP1302. The school will take place at the Ruder Boškovic Institute in Zagreb, Croatia, on September 23-25, 2015. Selected topics are historical introduction of the Raman spectroscopy, theory of Raman spectroscopy on molecules and crystals, surface enhanced Raman spectroscopy and applications, Raman spectroscopy of nanoparticles, Raman scattering on disordered materials, Raman spectroscopy in materials research, Time-resolved techniques with ultrashort pulses in examination of specific vibrational states of matter, application of ESR spectroscopy in probing of vibrational states of disordered materials and practical laboratory courses on Raman spectroscopy. Guest speaker for the school is Prof. Philippe Colomban, UPMC Paris, with the topic “Raman Spectroscopy of advanced materials (fibre, composites, films, ..) for aerospace and energy application”. The preliminary program can be found here. The Training School aims particularly at Early-Stage Researchers. The number of participants for laboratory courses is limited to allow for hands-on training, but the lectures are open to the general public. UPDATE: Presentation slides, from the tutorial lectures held during the Raman School are available here for the Raman School participants. 8. Difraktometar X-zraka za tanke filmove Siemens D 5000 (nije priklazan na slici). Ostali mali instrumenti su: magnetronski rasprašivač – Polaron E 5000, kriostat sa zatvorenim krugom helija (10-300K), kriostat hlađen LN2 (70-650 K), visokotemperaturna peć za “in situ” mjerenja (300-1600 K), Linkam THMS 600 peć za hlađenje i grijanje uzoraka za mikro-ramanska mjerenja (85-600K), peć za sinteriranje i termičko aniliranje (300-1200 K), optički mikroskop Olympus BH, proba za mjerenja otpora u četiri točke, spajač aluminijskih i zlatnih žica, Zeissov interferometarski mikroskop za mjerenje debljine itd. 5. UV-VS-NIR spektrometar s integracijskom sferom. Ostali mali instrumenti: Visokoenergetski kuglični mlin od Fritscha, ultrazvučni generator za sonokemiju, sušionik freeze-dryer od tvrtke HETO, itd. Rasprašivački system KJLC CMS-18 za pripremu širokog spectra materijala (metala, poluvodiča, dielektrika, metastabilnih uzoraka itd.) u širokom intervalu sastava i struktura. Procesna komora osnovnog tlaka oko 10-8 mbar prilagođena je sa četiri TORUS®3 magnetrona, napajana sa četiri zasebna izvora snage – dva DC magnetrona (0,5 KW DC & 1,0 KW DC) + 2 RF magnetrona (2 x 600 W RF). Nosač supstrata prihvaća pločice dijametra do 6″. Svojstva: prilagodiva udaljenost mete do supstrata, rotacija (do 40 rpm), grijanje do 800°C ili hlađenje na temperaturu LN2 in situ, s DC ili RF naponom. 2. Difraktometar X-zraka za tanke filmove Siemens D 5000 (nije prikazan na slici). 1. Fourier transform infracrveni spektrometar (FTIR), ABB Bomem MB102. Borjanović V., L. Bistričić, I. Pucić, L. Mikac, R.Slunjski, M. Jakšić, G. McGuire, A. Tomas Stanković, O. Shenderova, Proton-radiation resistance of poly(ethylene terephthalate)-nanodiamond-graphene nanoplatelet nanocomposites, J. Mater. Sci. 51 (2016) 1000-1016. Gebavi H., T. Robin, D. Mechin, M. Ferrari, S. Taccheo. “Photodarkening and photobleaching impact on 1030 nm fiber laser emission”, Journal of Optics 17 (2015) pp. 035603 (4pp), doi: 10.1088/2040-8978/17/3/035603. Jurkin T. , M. Guliš, G. Dražić, M. Gotić, Synthesis of gold nanoparticles under highly oxidizing conditions, Gold Bulletin. (2016). doi:10.1007/s13404-016-0179-3. Jurkin T., M. Gotić, G. Štefanić, I. Pucić, Gamma-irradiation synthesis of iron oxide nanoparticles in the presence of PEO, PVP or CTAB, Radiation Physics and Chemistry. (2015). doi:10.1016/j.radphyschem.2015.11.019. Kaper, Helena; Djerdj, Igor; Gross, Silvia; Amenitsch, Heinz; Antonietti, Markus; Smarsly, Bernd. Lukowiak A., A. Chiappini, A. Chiasera, D. Ristic, I. Vasilchenko, C. Armellini, A. Carpentiero, S. Varas, G. Speranza, S. Taccheo, S. Pelli, I. K. Battisha, G. C. Righini, W. Strek, M. Ferrari, Sol–gel-derived photonic structures handling erbium ions luminescence, Opt Quant Electron 47,117 (2015). Meljanac, Daniel; Juraić, Krunoslav; Plodinec, Milivoj; Siketić, Zdravko; Gracin, Davor; Krstulović, Nikša; Salamon, Krešimir; Skenderović, Hrvoje; Kregar, Zlatko; Šrut Rakić, Iva; Bernstorff, Sigrid, Influence of RF excitation during pulsed laser deposition in oxygen atmosphere on the structural properties and luminescence of nanocrystalline ZnO:Al thin filmsJournal of vacuum science & technology. A. 34 (2016) ; 021514-1-021514-10. Mikac L., Mile Ivanda, Marijan Gotić, Aleksandar Maksimović, Sebastiano Trusso, Cristiano D’Andrea, Antonino Foti, Alessia Irrera, Barbara Fazio, Pietro Giuseppe Gucciardi. Metal Nanoparticles Deposited on Porous Silicon Templates as Novel Substrates for SERS. // Croatica chemica acta. 88(4) (2015); doi:10.5562/cca2769. Ristić D., A. Chiappini, M. Mazzola, D. Farnesi, G. Nunzi-Conti, G.C. Righini, P. Féron, G. Cibiel, M. Ferrari, M. Ivanda, “Whispering gallery mode profiles in a coated microsphere”, The European Physical Journal Special Topics 223 (2014) pp. 1959-1969, ISSN: 1951-6355, doi: 10.1140/epjst/e2014-02239-2. Ristić D., M. Mazzola, A. Chiappini, A. Rasoloniaina, P. Féron, R. Ramponi, G.C. Righini, G. Cibiel, M. Ivanda, M. Ferrari, “Tailoring of the free spectral range and geometrical cavity dispersion of a microsphere by a coating layer”, Optics Letters 39 (2014) pp. 5173-5176, ISSN: 0146-9592, doi: 0.1364/OL.39.005173. Ristić D., S. Berneschi, M. Camerini, D. Farnesi, S. Pelli, C. Trono, A. Chiappini, A. Chiasera, M. Ferrari, A. Lukowiak, Y. Dumeige, P. Féron, G.C. Righini, S. Soria, G. Nunzi Conti. “Photoluminescence and lasing in whispering gallery mode glass microspherical resonators”, Journal of Luminescence 170 (2016) pp. 755-760, ISSN: 0022-2313, doi: 10.1016/j.jlumin.2015.10.050. Ristić D., S. Guddala, A. Chiappini, G. Alombert Goget, A. Lukowiak, R. Ramponi, G. C. Righini, M. Ivanda and M. Ferrari, Thermo optical coefficient of tin-oxide films measured by ellipsometry, J. Appl. Phys. 118, 215306 (2015). Ristić M., M. Marciuš, Ž. Petrović, M. Ivanda, S. Musić, The Influence of Experimental Conditions on the Formation of ZnO Fibers by Electrospinning, Croatica Chemica Acta 87 (2014) 315–320. Šarić A., G. Štefanić, G. Dražić, M. Gotić, Solvothermal synthesis of zinc oxide microspheres, Journal of Alloys and Compounds. 652 (2015) 91–99. doi:10.1016/j.jallcom.2015.08.200. Selmani, Atiđa; Špadina, Mario; Plodinec, Milivoj; Delač Marion, Ida; Willinger, Marc- Georg; Lutzenkirchen, Johannes; Gafney, Harry D.; Redel, Engelbert, An Experimental and Theoretical Approach to Understanding the Surface Properties of One Dimensional TiO2 Journal of physical chemistry. C. 119 (2015), 34; 19729-19742. Štefanić, Goran; Krehula, Stjepko; Štefanić, Ivka. Phase development during high-energy ball-milling of zinc oxide and iron – the impact of grain size on the source and the degree of contamination. // Dalton transactions. 44 (2015) , 43; 18870-18881 (članak, znanstveni). Tran Van T., S. Turrell, B. Capoen, Q Lam Vinh, O. Cristini-Robbe, M. Bouazaoui, F. d’Acapito, M. Ferrari, D. Ristic, A. Lukowiak, R. Almeida, L. Santos, C. Kinowski, “Erbium-Doped Tin-Silicate Sol–Gel-Derived Glass-Ceramic Thin Films: Effect of Environment Segregation on the Er3+ Emission”, Science of Advanced Materials 7 (2015) pp. 301-308, ISSN: 1947-2935, doi: 10.1166/sam.2015.2022. Lara Mikac, Mile Ivanda, Aleksandar Maksimovica, Marijan Gotić, Tibor Janči, Sanja Vidaček, Development and applications of SERS techniques, MECAME 2015, Zadar, 07.-10.06.2015. Mile Ivanda, Perspektive razvoja novih tehnologija u Centru izvrsnosti za napredne materijale i senzore , Festival znanosti Sinj, 28.-29. listopad 2015. Gajović, Andreja; Plodinec, Milivoj; Šantić, Ana; Iveković, Damir; Macan, Jelena; Haramina, Tatjana; Čeh, Miran; Willinger, Marc. Titania Based Nanostructures for various applications, 3rd Conference of The Serbian Society for Ceramic Materials, 15. – 17. 6. 2015. Gajović, Andreja; Plodinec, Milivoj; Žagar, Kristina Tomašić, Nenad; Sikirić, Maja. Raman spectroscopy technique and specific applications for study of ceramics, 11th Conference for Young Scientists in Ceramics, 21. – 24. 10. 2015. Vlasta Mohaček Grošev, Jože Grdadolnik, Dušan Hadži, Evidence of polaron excitations in Raman spectra of oxalic acid dihydrate at low temperatures, XXI Conference on Horizons in Hydrogen Bonding Research, 13.09-18.09.2015. Wroclaw, Poljska. Vlasta Mohaček Grošev: Razlikovanje polikristaliničnih faza Ramanovom spektroskopijom, Znanstveno-stručni skup o industrijskoj kristalizaciji, Pliva, zagreb, 23.01.2015. Vlasta Mohaček Grošev, Aleksandar Maksimović, Anita Kvaček, Polona Ropret: Origin of intermolecular interactions determining the structure of hyaluronic acid gel, 2nd Optical Nanospectroscopy Conference, 18.03.-20.03. 2015. Dublin, Irska. Nuskol, Marko; Bijelić, Mirjana; Mal, Suraj; Popović, Jasminka; Skoko, Željko; Djerdj, Igor. Sol gel synthesis of perovskite quaternary tellurium-containing metal oxides // 29th European Crystllographic Mettong (ECM29), 2015. (poster). Gebavi, A. Chiasera, M. Ferrari, D. Mechin, T. Robin, S. Taccheo, “Comparison of photodarkening in 1030nm and 1070nm Yb-doped fibre lasers”, Proceedings SPIE 9359 (2015), Optical Components and Materials XII, 935912, doi: 10.1117/12.2081110. Plodinec, Milivoj; Gajović, Andreja; Šantić, Ana; Zavašnik, Janez; Čeh, Miran. Increased photoconductivity in BaTiO3/TiO2 composites // PROCEEDINGS 3rd CROATIAN MICROSCOPY CONGRESS with International Participation / Andreja Ambriović Ristov, Andreja Gajović, Igor Weber and Ana Vidoš (ur. ).ZAGREB : Ruđer Bošković Institute and Croatian Microscopy Society, 2015. 67-68 (predavanje). Gajović, Andreja; Plodinec, Milivoj; Macan, Jelena; Haramina, Tatjana; Iveković, Damir; Willinger, Marc, Modified titanate nanotubes for application as nanofillers in polymers // ABSTRACTS 12th Multinational Congress on Microscopy / Kittel, Ágnes (ur. ).Eger: Hungarian Academy of Sciences, 2015. 139-140 (predavanje). Igor Djerdj, Željko Skoko, Željko; Popović, Jasminka. Acrobatics of 4-hydroxy-N’- isopropylidenebenzohydrazide crystal// Book of Abstract Seventeenth Annual Conference YUCOMAT 205, Herceg Novi, August 31– September 4, 2015 (predavanje). Popovic, Jasminka; Djerdj, Igor; Skoko, Zeljko; Mal, Suraj; Nuskol, Marko, Brkic, Sanja “Citrate route for the preparation of multiferroic Ba2CoTeO6 material”, Book of Abstract Sol-Gel 2015, 33-34 (2015) Kyoto, Japan, (poster). Ristić, A. Chiappini, H. Gebavi, V. Đerek, A. Lukowiak, R. R. Gonclaves, S.
Pelli S., G. Nunzi Conti, M. Ivanda, G.C. Righini, G. Cibiel, and M. Ferrari, Spherical Microresonators Coated with a High Refractive Index Coating foPr Different Applications, PIERS Proceedings, 1642 – 1646, July 6-9, Prague, 2015. (predavanje). Jurkin, „Gamma-irradiation synthesis of iron oxide nanoparticles in the presence of PEO, PVP or CTAB by T. Jurkin, M. Gotić, G. Štefanić, I. Pucić“ , 13th Tihany Symposium on Radiation Chemistry, August 29 – September 03, 2015, Balatonalmádi, HUNGARY. (predavanje). Đurina, Vedran; Karažija, Tomislav; Čeralinac, Zoran; Đerek, Vedran, Application of Advanced Materials in the Electric Power Industry, 12. savjetovanje HRO CIGRÉ, Šibenik, 8.–11.11.2015, (predavanje). Macan, Jelena; Gajović, Andreja; Deluca, Marco; Bermejo, Raul. Porous yttria-stabilized zirconia for bone implants // PROCEEDINGS 3rd CROATIAN MICROSCOPY CONGRESS with International Participation / Ambriović Ristov, Andreja ; Gajović, Andreja ; Weber, Igor ; Vidoš, Ana (ur.). Zagreb : Institut Ruđer Bošković i Hrvatsko mikroskopijsko društvo, 2015. 78-79 , (predavanje). Plodinec, Milivoj; Gajović, Andreja; Iveković, Damir; Macan, Jelena; Haramina, Tatjana; Willinger, Marc. Study of thermal stability of (3- aminopropyl)trimethoxy silane-modified titanate nanotubes for application as nanofillers in polymers // PROCEEDINGS 3rd CROATIAN MICROSCOPY CONGRESS with International Participation / Ambriović Ristov, Andreja ; Gajović, Andreja ; Weber, Igor ; Vidoš, Ana (ur.). Zagreb : Institut Ruđer Bošković i Hrvatsko mikroskopijsko društvo, 2015. 101-101 (poster). Andrea Chiappini, Anna Lukowiak, Iustyna Vasilchenko, Davor Ristic, Simone Normani, Alessandro Chiasera, Brigitte Boulard, Dominik Dorosz, Francesco Scotognella, Alessandro Vaccari, Stefano Taccheo, Stefano Pelli, Gualtiero Nunzi Conti, Roberta Ramponi, Giancarlo C. Righini, Rogeria R. Gonçalves, M. Kamil Abd Rahman, Maurizio Ferrari, “Glass-based confined structures enabling light control”, AIP Conference Proceedings 1657 (2015) pp. 030005-1/8, ISSN: 0094-243X, doi: 10.1063/1.4915155. MZOS, “Modificirana sol-gel metoda sinteze kompleksnih kvaternarnih metalnih oksida koji sadrže volfram s netrivijalnim magnetskim ili/i električnim svojstvima” Bilateralni projekt s Institut für Mineralogie und Kristallographie, Universität Wien (prof. T. Djordjevic), 2015-2016, voditelj projekta Igor Đerđ. Organizacija škole Training School on Raman Spectroscopy u okviru COST action MP1302 Nanospectroscopy, 23.09.-25.09.2015, Zagreb (http://www.cost-nanospectroscopy.eu/trainingschool-raman.html) te održana predavanja za 20 polaznika iz Europe. Predavači iz CEMS/NFM: Mile Ivanda, Vlasta Mohaček Grošev, Goran Baranović, Vedran Đerek, Lara Mikac. COST Action MP1401 ‘Advanced fibre laser and coherent source as tools for society, manufacturing and lifescience ‘ (www.aflaser.eu). 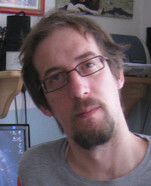 Hrvoje Gebavi, podpredsjednik (engl.‘Vice – chairs’). Uvrštavanje Hrvatske u projekt za prvu radnu grupu ‘Materials, Fibres, Components and Technology’ unutar navedene akcije. Vlasta Mohaček Grošev: „Svjetlosna Ramanova spektroskopija za rano otkrivanje bolesti“, Festival znanosti, Tehnički muzej Zagreb 20. 04. 2015. Vlasta Mohaček Grošev: „Kako nam molekule mirišu“, predavanje u Hrvatskom farmaceutskom društvu 15. 10. 2015. Vlasta Mohaček Grošev: „Spektroskopija molekula i tajna mirisa“, Laboratorij za molekulsku fiziku IRB, 13. 06. 2015.